SCVHistory.com HS2101 | Maps | Land Ownership, Santa Clarita - San Fernando - Simi Valleys, 1921. Note: Must be viewed at Supersize. 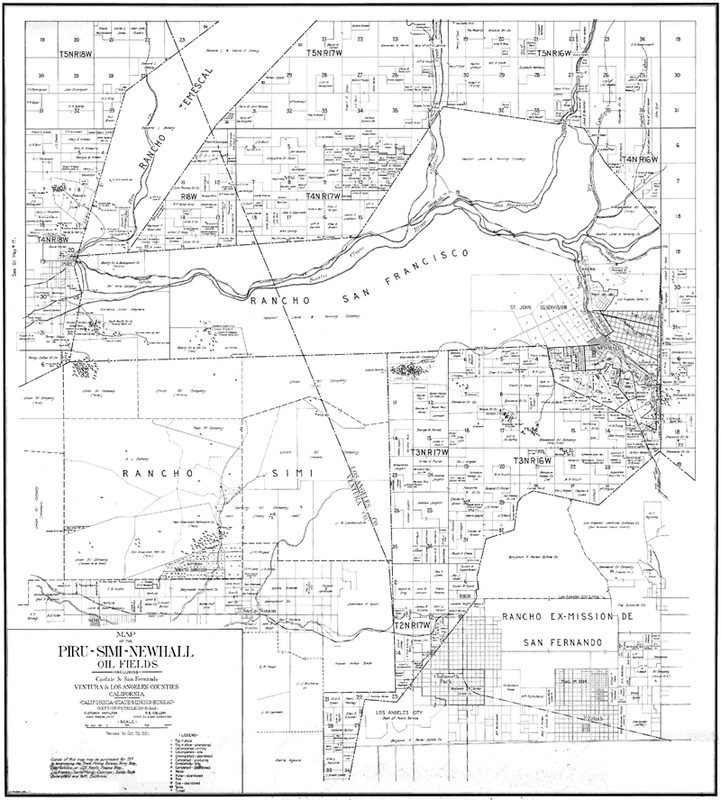 Map of the Piru - Simi - Newhall Oil Fields, including Castaic and San Fernando. California State Mining Bureau, Department of Petroleum & Gas. Revised to Oct. 20, 1921. Shows land ownership throughout the Santa Clarita, San Fernando and Simi valleys.